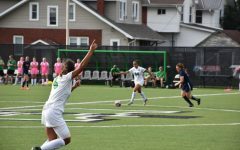 After adding another name to the roster this past week, the Marshall women’s soccer roster is complete for the 2018 season, bringing in both local and international talent to the program. The signing class includes midfielder Laura Farrelly (New South Wales, Australia), goalkeeper Lindsay Langley (Springfield, Oregon), midfielder/forward Emery Biggs (Clayton, North Carolina) and midfielder/defender Tesia Schray (Huntington, West Virginia). Farrelly signed as an early enrollee and joined the team for the spring. Langley, Biggs and Schray will be immediately eligible in the fall semester. Head coach Kevin Long said he’s hoping for a more competitive atmosphere generated by the returning members of the Herd, but the new recruiting class changes the game. The team has played three of its seven scheduled spring matches so far and will play its final home match April 18. It’s a period where Long said he’ll learn more about his squad on the field. Injuries and inconsistency crippled the Herd this past fall season as it finished with an overall record 5-11-1 (3-6-1 C-USA). 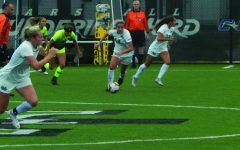 Marshall won just one match in regulation and finished the season with three consecutive losses and failed to qualify for the Conference USA Tournament for the second consecutive season after reaching the final in 2015. Long said the depleted roster has made its spring season just a bit more challenging. 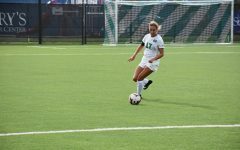 Marshall had 10 injured players by the end of the fall season, including season-ending injuries midway through the 2017 campaign to midfielder Jayne Lawman and forward Kylie Slusser. Multiple other Herd players only played limited minutes in 2017 due to injuries as well.